Team India won the T20I series 2-1 with a win in Bristol. 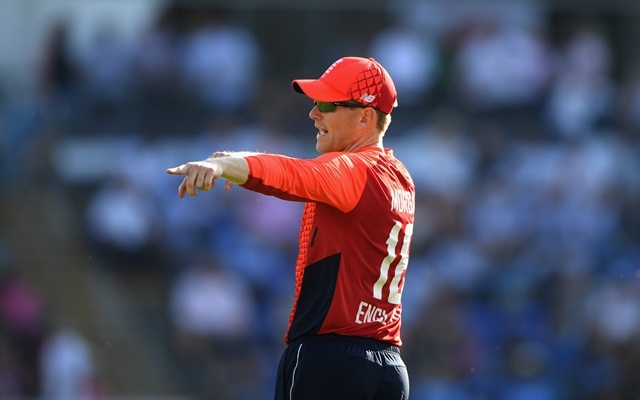 England posted a total of 198 in the final T20I against India with the series at stake. Though it is a good total in a 20-over game but on a feather bed like the one that was rolled out in Bristol it was never going to be enough. Rohit Sharma led the Indian response and scored a hundred to take the team over the line with 7 wickets and eight balls to spare. Considering the type of wicket it was, all the commentators at the halfway stage felt they got an under-par total. The ball was coming onto the bat nicely and the ground was really small. Even mishits went over the ropes and the ball was doing nothing for the pacers or spinners. Rohit unleashed an absolute carnage and played all the shots in his armoury to thrash the English bowlers. “We were probably 20-30 runs short. 225 or 235 would have been more of a difficult chase (on that ground). India never really got away from us, but we struggled to take wickets (during the chase),” said Morgan after the game. “They kept up with the rate, and then it was a position in the 16th or 17th over they could take the game away from us which is disappointing. (But) Jason (Roy) and Jos (Buttler) were brilliant up front and almost gave us a licence to allow ourselves to think about 220,” he added. England started off really well with Jason Roy and Jos Buttler playing some exquisite shots. However once the duo was dismissed the Indian bowlers made a really good comeback in the last five overs or so. Especially Hardik Pandya, he bowled his natural short of length in the first over and was hit for 22, in the remaining three overs he conceded just 26 runs and dismissed four batsmen. “Pandya kept it simple (on a tough ground). He hit good lengths and we didn’t hit it. The execution of our shots didn’t really match up. On a good wicket, and a small ground, we should be better than that. India were probably on top of their game today, and we weren’t. “We were just short. Those 20 or 30 runs we missed out on in the back-end of our innings cost us,” the English skipper said. “This series has been pretty competitive, probably barring the first game, which they (India) dominated. It doesn’t necessarily expose us in one area, but it allows us to grow as a team. I don’t think we have to play a completely perfect game every time. We proved that at Cardiff,” he stated.